We are so excited to announce that Rica has been confirmed to the Board of Directors for the Foster City Chamber of Commerce for the fiscal year of 2019-2020. Rica is so excited about being a championing voice for small businesses in our community and is truly passionate about helping small businesses thrive. 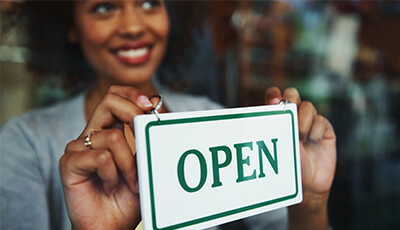 As a small business owner herself, she knows the unique challenges and struggles these businesses face on their path to success. Should you have a question regarding the Chamber or just want to learn more, she would be more than happy to speak with you! One practice that Rica has always tried to do, and will continue to do in this new role, is publicize Chamber events and encourage friends to attend. These are often valuable times of learning and networking, and the Chamber would love to be a resource for your business’s growth! Join us April 19th from 11:30-1:30 for the newest Business Essentials class. In this lunch & learn, participants will learn how storytelling can help your business get noticed! Speaking of leadership, applications are now being accepted through the first of May for next class of Leadership San Mateo, Foster City, Burlingame, Hillsborough. In this program, you will develop leadership skills through trainings and interactions with esteemed leaders in our community. Through this program, you will have the special opportunity to interact with police and fire chiefs, nonprofit CEOs, elected officials, and school superintendents. Small businesses are an integral part of a community; despite their size, they can make a big impact… and it is Rica’s and the Chamber’s shared passion to help them thrive. Previous Previous post: I’m ready to sell my house… now what?